Why Would You Rent Christmas Lights…When You Can Own Them! How Much Does It Cost To Hang Christmas Lights In Grand Rapids? Having a company hang your Christmas lights in Grand Rapids may be a new concept for many homeowners out there. The truth is, hiring a professional to hang your Christmas lights has been happening for years. But is it the right choice for you? And how much does it cost to have a professional hang Christmas lights in Grand Rapids? All companies are different, and services will vary widely. So knowing exactly what your paying for, and what the service includes, is very important. Some business may state they are ‘all-inclusive’ when it comes to Christmas lighting. Well, does ‘all-inclusive’ mean they provide the lights, install them, and take them down? Does it mean they only put up your Christmas lights and take them down and won’t service them during the season? Does it mean you get unlimited drinks when you purchase a meal plan? Wait…no, that’s not what we’re talking about here, is it? 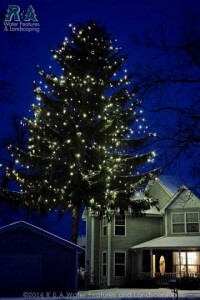 You can start by asking the following questions to the prospective Christmas lighting company. Do I purchase the lights, or am I only renting them? – If you plan on decorating your Grand Rapids home every Christmas, renting the Christmas lights may not make much sense. What happens if a light goes out? – This will help understand if, and how, they will service your Christmas lights during the season. What happens if I don’t decorate every year, am I locked into a contract? – Naturally everything comes with a contract, so you’ll want to know the extent of the contract. If it is year by year, or if there is a nominal fee to pay if you have the Grand Rapids Christmas lighting company store your lights for a year. Do you want it all, or do you want the most minimal possible? The number of elements you want decorated with Christmas lights will greatly determine the cost, as will renting vs. owning the Christmas lights. With R&A Holiday Decoration, you own the material and then pay for installation only in subsequent years. The upfront cost is higher, but in later years you can expect to pay around half. So, for example, the average first year cost many of our clients pay is around $1400, and second year renewal costs average around $900. Now, this varies greatly, but this is an average based on some of our smaller Grand Rapids Christmas light displays. 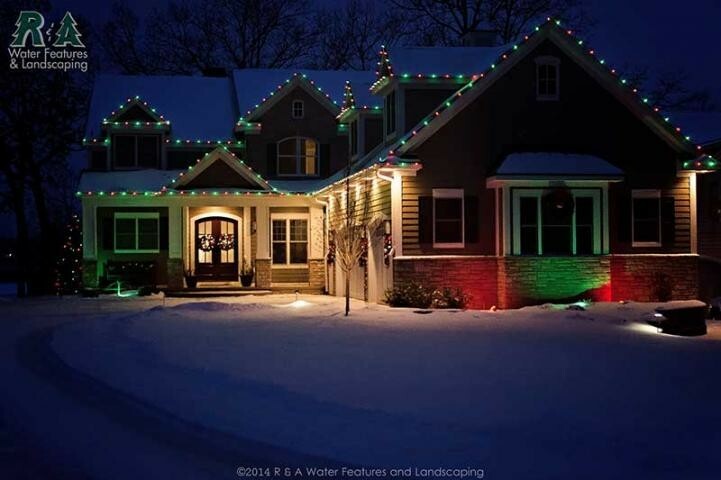 When looking to have your Grand Rapids Christmas lights hung this holiday season, make sure you know everything the company does, and does not offer so you can be sure the company will be a good fit for you. Our Holiday Decorating services includes installation of Christmas lights, service throughout the season, take down of lights at the end of the season, and year round secured storage. You can view recent Holiday Decorating projects in Grand Rapids, Kalamazoo, and the surrounding areas, and also find answers to frequently asked questions regarding Holiday Decorating in our blog. Be sure to contact us today when you’re ready to decorate your Grand Rapids home with Christmas lights this holiday season!